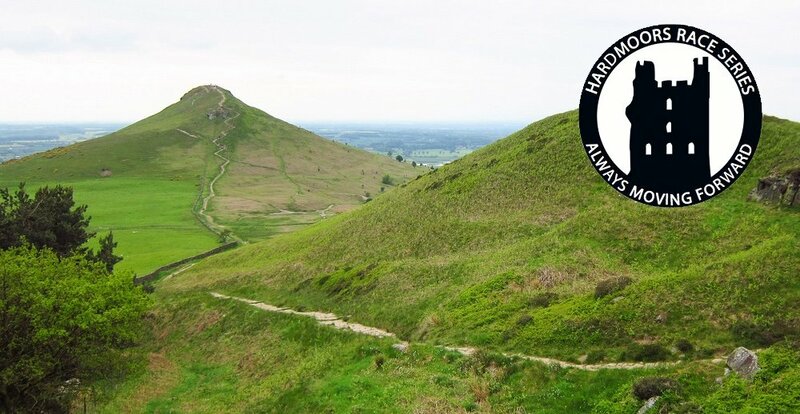 So this weekend I will be taking a step into the unknown by attempting a “hilly” ultra across the North Yorkshire Moors, namely The Hardmoors 55. This was a pretty late addition to my 2015 race schedule but one I am keen to do, having heard lots of great reports about the Hardmoors series of events put on by Jon and Shirley Steele. At 55 miles, the distance doesn’t particularly bother me, being only 7 miles longer than my last race, the Peddars Way Ultra Marathon. What is a concern, and a total step into the unknown, is the 2500m or so of ascent that is included across the route, a significant jump up on my racing and training to date. Due the late decision to enter this race, my build up has not included anywhere near the volume of hill work I would have liked, something which is also pretty tricky anyway when living in the pan flat Cambridgeshire Fens. A niggling hip injury has also limited my ability to utilise the turbo trainer or do harder hill sessions, so instead my training has focussed on steady endurance work, combined with regular body weight strength sessions, focussing primarily on my legs. I have also taken a different approach to my build up this time around, in an attempt to try and eliminate fatigue when standing on the start line. Gone is the final block of back to back runs three weekends out from the race, aiming to hit or even exceed total race distance. Instead I’ve focused on keeping my aerobic engine ticking over, hopeful that my fitness from my last ultra is still there. As a result I haven’t run longer than three hours in any one session in the build up to this race. My taper has also been more aggressive, really dropping the run mileage in the final two weeks. While this approach is risky, I am hopeful that this when combined with good sleep in the week before the race, should put me on the start line fresher and ready to do battle with the course. The course profile (see below) is pretty up and down, as you would expect from UK Moorland. Once over the long climb after the Osmotherley checkpoint (at around 55km) it takes a general downward turn, with a couple of short sharp climbs to keep you on your toes. So my plan is to start slow and steady and see how it develops, hopefully keeping something in the tank for the later half of the race. Having done a lot of mountaineering in a past life, I am hoping my legs still retain some muscle memory from this and that will kick in once the race is underway. Probably wishful thinking on my part but it will be interesting to see if this is the case. There is a detailed list of mandatory kit that must be carried throughout the race by all competitors, with spot checks for all and stiff penalties for anything found missing. A sensible approach considering the time of year and the terrain we will be crossing. I will be running with my new Salomon Advanced Skin S-Lab Hydro 12 vest to give it a proper race test ahead of my final written review, hopefully published in the coming weeks here on this website. It’s been a bit of a struggle to get all of the kit into it if I’m honest but I think I’ve got it cracked now, with a system that will allow me to quickly access the items I may need while running. I have opted to add a few additional items to my vest, in terms of safety and personal comfort. The weather is looking ok for Saturday at the moment, so I may make a late call and remove a few of these before I start. However Moors are notorious for attracting extreme weather so if I have the space I will leave them in just in case. Personal emergency pack which contains some toilet roll, blister patches, antiseptic wipes, zinc tape, small tub of Vaseline, pain killers, Imodium and emergency light. Food, probably a small number of Nakd and Clif bars as am expecting to make best use of the food at the checkpoints as I did on my last race. This race also allows competitors to have two drop bags, another first for me. The first bag is available at 19km and the second at 51km. There is food and water available at various checkpoints along the route as well, so these are for personal items you may require, rather than picnic hampers. I’m still deciding what to include but at the moment am expecting the first to only have a handful of bars to replace the food I will hopefully have eaten on the first leg. The second will have the same, plus the addition of another spare pair of socks (which I’ll carry on with me regardless of whether I use them or not) plus some foot powder. I will also include a few novelty food items such as rice pudding and pepperoni or salami sticks in the second one, in case I’m craving something unusual. While this race follows the Cleveland Way, no additional sign posting is placed by the race organisers, except in a number of specific locations where the route leaves the official trail. As such competitors are expected to navigate themselves and carry a full map of the route. In addition to this I will also carry a compass, just in case the weather turns bad. I will also have the GPS track loaded onto both my watch and iPhone as a back-up, just in case. I am really looking forward to this aspect of the race as it’s been some years since I’ve been able to put my navigation skills to the test in an upland environment. While the route is not overly complex I do have concerns how well I will cope as fatigue sets in, especially in the later stages of the race when it’s likely I’ll also be running in the dark as well. Should be fun all the same! Having never undertaken a race like this I have no idea how I will do timing wise. Assuming 1 min per 30m of ascent and my pace from my last two ultras, then anything from 10.5-11 hours upwards is possible but could easily be significantly above this. So as previously stated, my aim is to go slow and steady at the start and see what happens. The time will be what it is and I look forward to seeing what kind of pace I can maintain across this kind of terrain. So that’s it. All that is left is for me to try and get as much sleep as possible between now and Saturday and tinker with my kit on an almost daily basis. As always I will write a detailed race report after the event, outlining the good the bad and the ugly that was my Hardmoors 55 in 2015. For those that are keen to follow my progress, then I will have a GPS tracker on the day. My race number 289 and you can follow my progress on the Race Drone website.